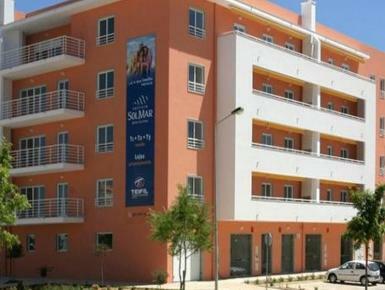 A ovely 1 Bedroom apartment only a few minutes to the golden sandy beach of Armacao de Pera. Lovely large balcony from where you can enjoy the sun and the town views, even the smell of the sea and the beach. Self catering fully fitted New Kitchen. Bedroom with balcony. Apartment Sleeps up to 4 Persons. Armacao de Pera,is ideal location for singles or families. Apartment is a delightfully open and fresh, it is very bright and has very relaxing feel to it. The views from all rooms and kitchen are really very beautiful. The apartment comprises of a full bathroom with shower over the bath, double bedroom, large lounge with Sofa Bed /diner and kitchen.